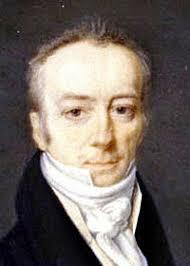 By popular demand, here is the intriguing, drama-filled story of James Smithson, the renegade British aristocrat and scientist who provided the funds for the Smithsonian, with little direction and few conditions, except to specify its exact name. He was born James Lewis Macie in P aris sometime in 1765. His mother was Elizabeth Hungerford Keate Macie, a wealthy widow, and his father was Hugh Smithson Percy, 1st Duke of Northumberland. But here’s the thing: Hugh Percy was married to someone else. To hide the pregnancy, Elizabeth left England to live more or less in secret in Paris. That’s why we don’t know the exact date James was born – it was all hidden. Now today an out-of-wedlock child wouldn’t be such a big deal, particularly among popular celebrities, but apparently it was a big deal in England, especially among the aristocracy, who were the celebrities of their day. Even though keeping a mistress was commonplace and illegitimate children were often openly acknowledged, still people maintained the fiction of decorum.